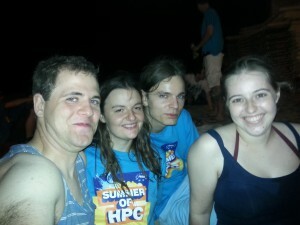 A Summer of HPC started with a week in Barcelona. This week comprised of intensive training sessions in high performance computing tools and techniques. 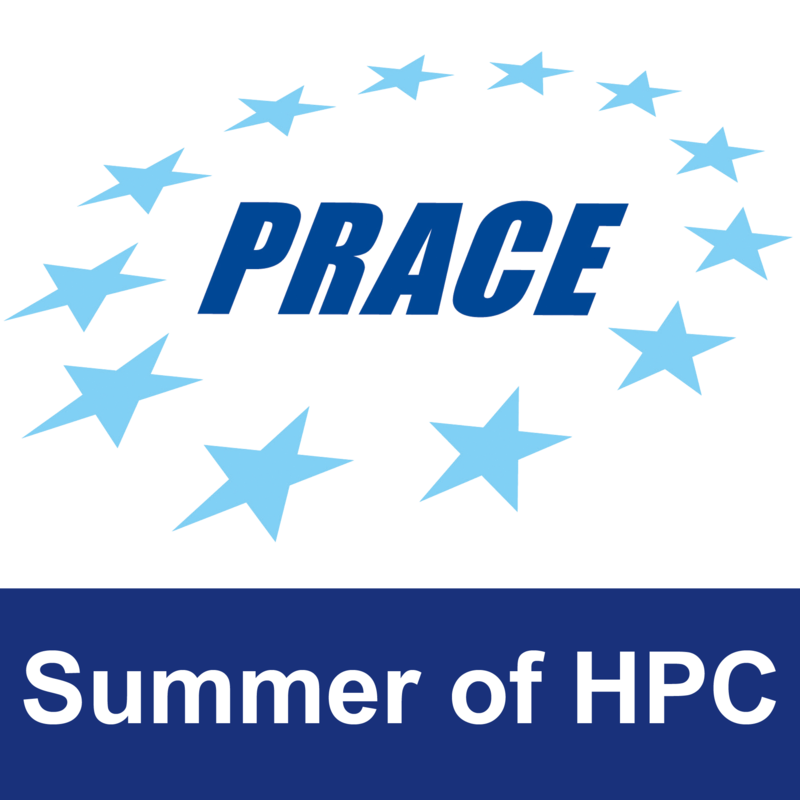 This was a good opportunity for people like me with no previous high performance computing knowledge to learn the basics of the field in time for heading out to our placements. It was also a good opportunity to meet people from all of Europe with similar interests and passions. 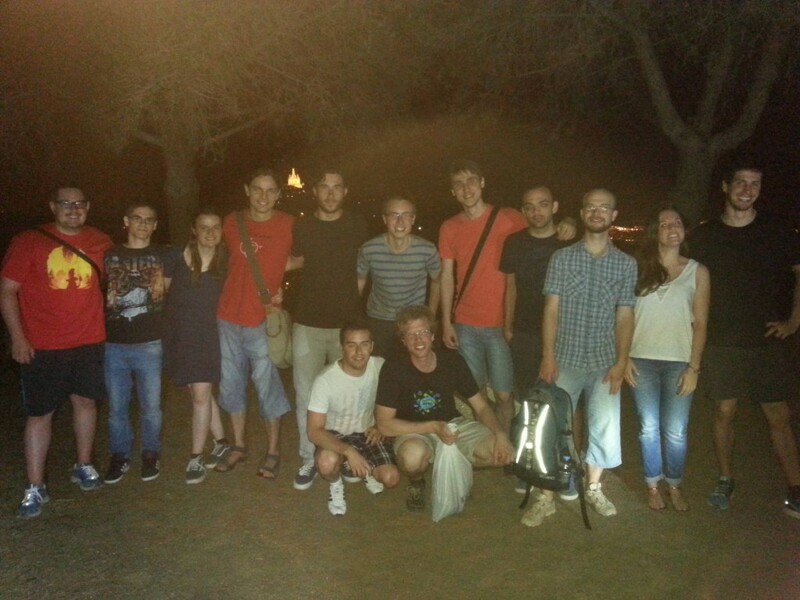 During this week I made lots of good friends which I hope to stay in touch with for a long time to come! The photo below was taken on the Tuesday night of training week. After a hard day of lectures/practicals we thought it would be nice to walk to the top of a nearby hill (as Simon promised it was only a 20 minute run away) about an hour and a half later, here we are at the top! Tuesday evening of training week. A LONG walk to the top of a nearby hill. An evening on the beach in Barcelona! We were all sad to leave Barcelona and all the friends we had made there but on Saturday it was time to leave it behind and travel to Germany. My flight was not until 2pm and I was definitely glad for the lie in after the busyness of the previous week. I flew to Dusseldorf airport where I was collected by a taxi driver who appeared to speak no English. Therefore, a lot of hand gestures and pointing were necessary as he tried to convey where we were going and how long it would take. It ended up being about an hour drive to Juelich and the apartment block that would become home for the next few weeks. My room was on the 10th floor (luckily there was a lift), with beautiful views over the German countryside. I had my own kitchen/bathroom/living room and bedroom which was a luxury compared to the student flats I usually live in! However, was very quiet in comparison to the week in Barcelona. The apartment block was by far the tallest building in Juelich, which came in a lot of use for the many times we got lost on the way to and from work! The daily cycle to walk through the forest surrounding forschungszentrum. On Sunday, Alberto and I met up and went for a walk around Juelich, this was the point where we realised how small Juelich actually is, taking about half an hour maximum to walk anywhere. The walk to the research centre (Forschungszentrum) however, took about an hour as it is located just outside of Juelich – luckily we would get bikes for the rest of the time so wouldn’t have to walk it everyday. Forschungszentrum is one of the largest interdisciplinary research centres in Europe and is located in the centre of a large forest which we were quickly warned was full of birds of prey which like to attack people as you walk through it (I am convinced it must be full of bears/wolves as well though). However, it does make a beautiful walk to work in the morning. 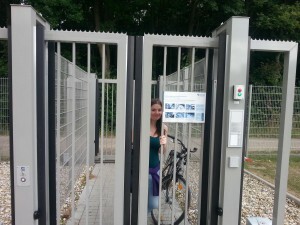 The security system around forschungszentrum. Monday morning arrived and Alberto and I set off with plenty of time to spare for our 9.30 meeting. However, we didn’t count on the large amount of security surrounding the site, and therefore picking up our id cards and finding our way across the massive campus to the correct building took a lot longer than expected! Once we found the right building we both met our supervisors and were told a bit more about our projects. We were then given a tour of the building. For a small building it was definitely the most confusing building I have ever been in. Even now, a week later I am still proud when I manage to make it to the toilet without getting lost, never mind finding my desk in the morning. This day mainly constituted of paperwork and meeting lots of new people, by the end we were both very tired and looking forward to tomorrow when we could start our projects! However, this didn’t go exactly as planned due to my id card not working and apparently security did not appreciate me attempting to use Alberto’s. 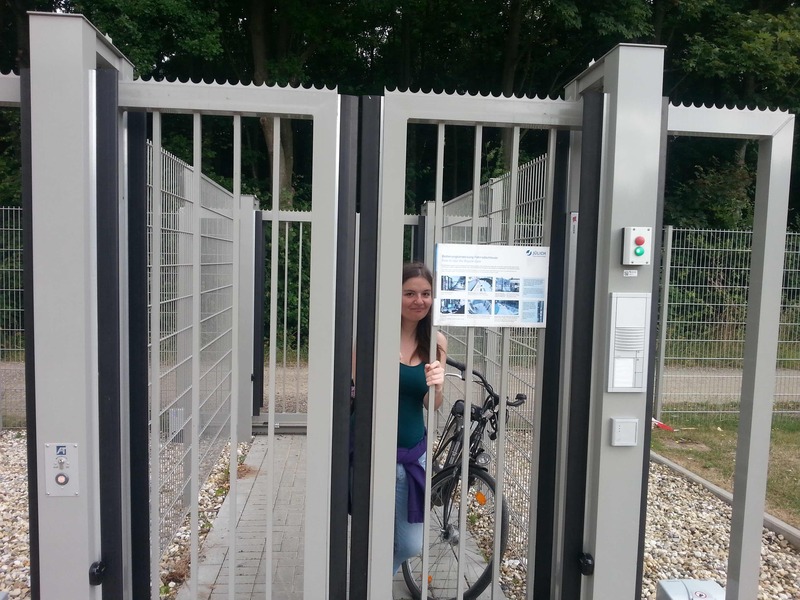 This photo above shows me stuck in the gate just before a security guard came to shout at us in German and it started raining… (they eventually let me in). While in Juelich I will be working on the optimization of a lattice quantum chromodynamics software package. Quantum chromodynamics is the theory of the strong nuclear force (one of the four fundamental forces of nature). These simulations require the computation of extremely sparse linear systems which require a large amount of computational resources to solve. The software package is written in a mixture of C++ and assembly level language. At the moment I am just working on learning the basics of QCD, the numerical methods used and intel intrinsics before I attempt to understand the software package (which I am told is almost impossible). It is hoped that with further optimisation the accuracy and size of problems tackled can be increased while decreasing the run-time. On the Friday (and Saturday) we were lucky enough to stumble upon the Juelich wine festival. 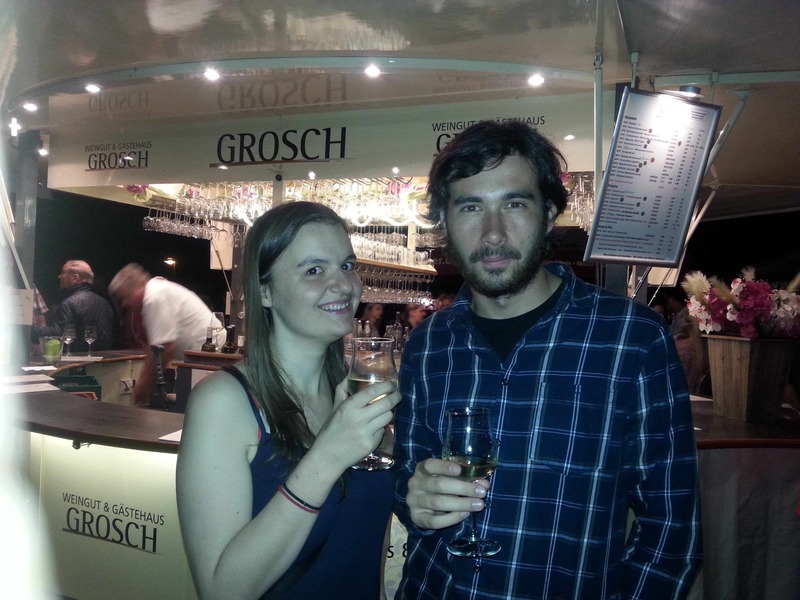 This was a great opportunity to try some new and interesting German wines (especially for Alberto who initial declared that he didn’t like wine). It also turned into a good opportunity to meet a lot of local German people, learn a bit about German culture and learn some more German words. I am looking forward to more weekends when we will have the opportunity to explore nearby cities such as Dusseldorf and Cologne. 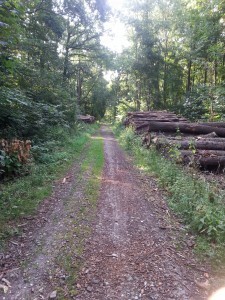 Juelich is also located only an hour or so away from both Belgium and the Netherlands. Therefore, both of these would be interesting trips for weekends in the future!